Every year we invite students in Yr.13 to apply for the prestigious posts of Head Boy and Head Girl. 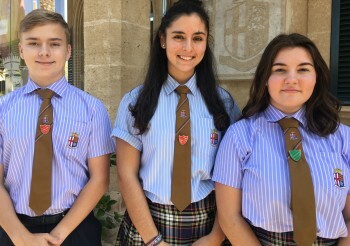 The successful candidates are important figures in the school, liaising with teachers and senior management and acting as ambassadors for the school at public events. We also invite Yr. 13 students to apply for the post of Chairman of the Student Council. The post encourages entrepreneurship, leadership and requires excellent communication skills to champion all of our community and charity events throughout the year. The School Council consists of two representatives from each tutor group. The purpose of the council is to provide a forum in which ideas can be shared, issues discussed and perspectives heard from across the age groups. A key role of the council is to co-ordinate charity fundraising events and community projects. Finally, we appoint several Year 13 students to be Mentors. One of the things we are most proud of at KR3 is the warm family atmosphere and good rapport between students across the age ranges. Our Mentors are key figures in the Secondary School providing different kinds of support to younger students from academic help to agony aunt! In the Primary School the houses are co-ordinated by the six House Captains elected from Year 6. They are responsible for leading their houses in competitions, motivating and inspiring their team-mates. 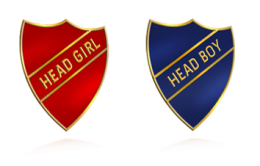 Housepoints may be awarded throughout the academic year in recognition of good schoolwork, effort, contribution to the school and extra curricular events. There are regular inter-house competitions each term in which students compete in teams against the other houses in sports events, themed events, Treasure Hunts, General Knowledge Quizzes and much more besides. One of the highlights on the inter-house competition calendar is the School Olympics which is held at the athletics complex in Magaluf in May, in which the whole school, teachers, and parents turn out to compete and support their houses in a variety of athletic disciplines. The house system gives all students the opportunity to participate in a team by contributing skills they may already have while learning new ones. Students also benefit socially by working with older and younger members of the same house, developing communication skills and confidence.